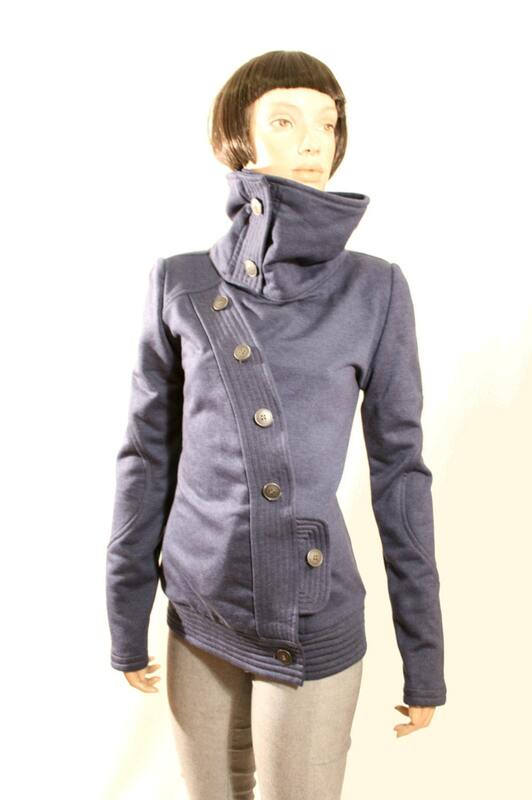 Blue spring or autumn jacket, softy tailored sweatshirt jacket with high collar, pocket and diagonally placed buttons in blue. 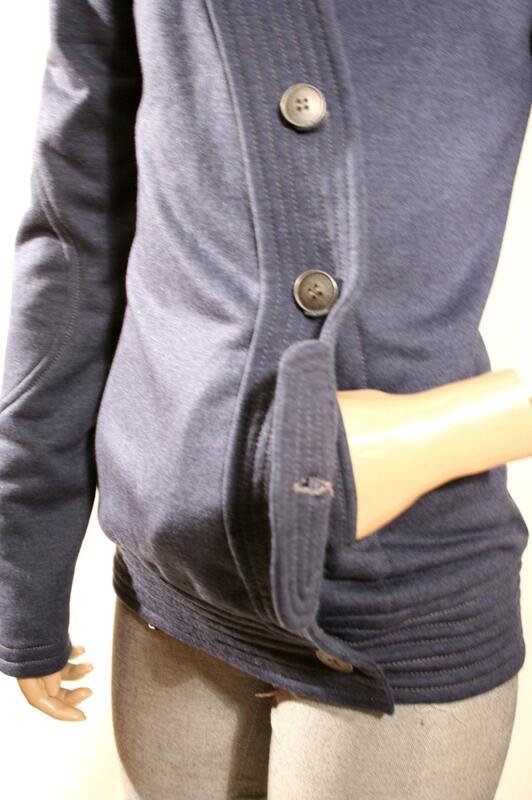 Buttoned hoodie in a soft fleeced jersey fabric. Spring jacket. Transitional jacket. READY TO SHIP!! Handmade in Spain by Boyd Baten at Good Times Barcelona. This contemporary blue tailored jacket is a fitting choice when you want to make a statement. Custom designed in meticulous detail, it is handmade from a sweatshirt type fabric blend that is soft and practical. 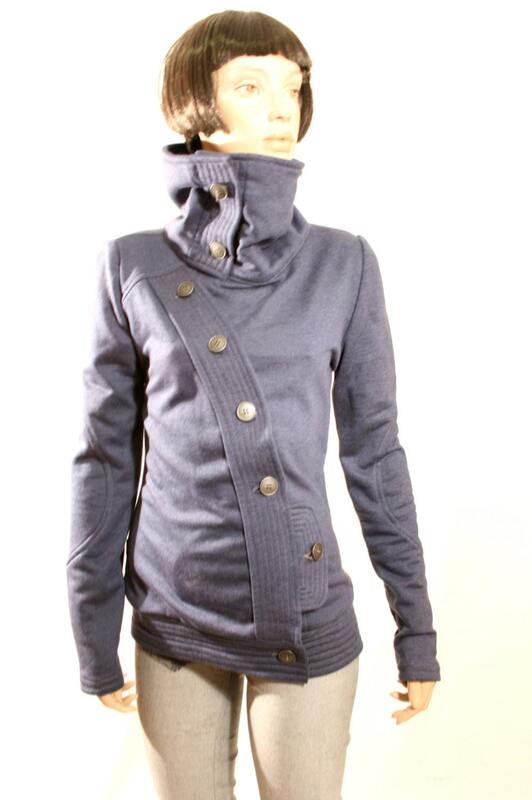 It features an intriguing diagonal button pattern and a faux hoodie high collar that adds a futuristic element to this piece of designer clothing. It really just doesn't get any better than this! 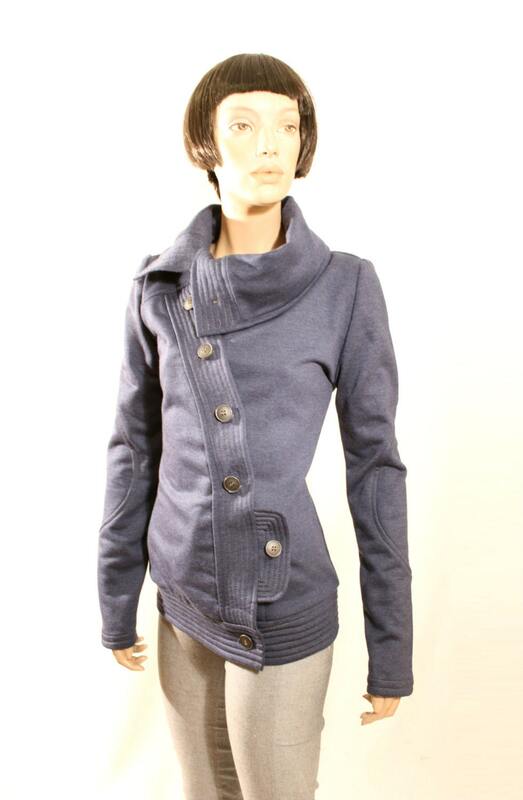 It will appeal to women of all ages and makes a fashionable choice to wear just as the weather beings to turn cold. It is a limited edition Good Times Barcelona original. Order now to guarantee availability. Soooo cozy! It will be your favourite jacket this fall or next spring but you can also wear it under your coat during the colder days. The jacket looks like a sweatshirt but can be BUTTONED DOWN COMPLETELY - You can see it on the last pic. The cotton/polyamide knit is fleeced on the inside (in broken white) for extra warmth. No need to dryclean, it is machine washable, no dryer though! Pls contact us with any questions, thank you for visiting our shop! Lovely jacket! Perfect fit and color - just what I wanted :-) Thank you! Warm and cosy. I like it. Very peculiar design. Shipping and packaging ok. Thank you.